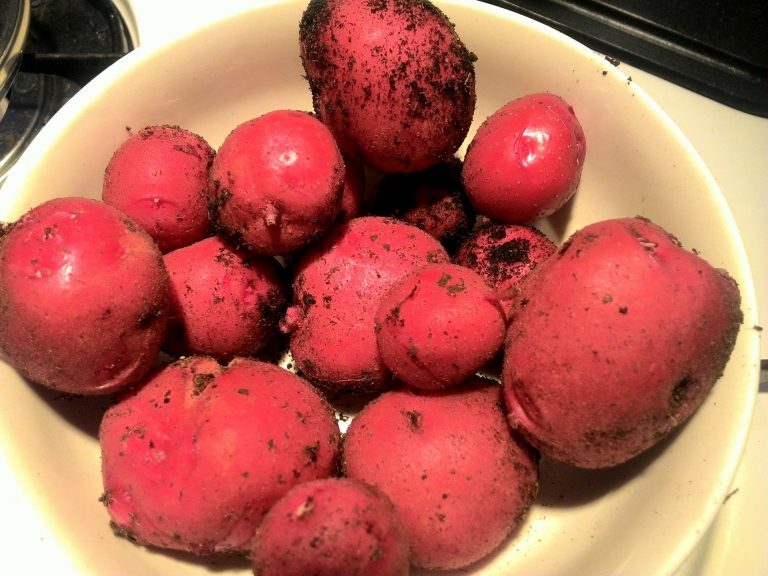 The red potato seeds were planted between late March and early April 2018. The plants began dying by mid-June before flowering, so we decided to take them out. To our surprise, there were some small to medium size potatoes. The plants did not produce many, probably because they were planted in growing bags instead of directly into the ground. After some research, it is common practice to harvest "early potatoes" during June, so instead of a mistake, what we did was some kind of accidental normal process. There are two more potato growing bags in the garden, and we plan to wait for those to flower and see what happens. Our experimentation continues.